I wouldn’t want to be here alone at night. 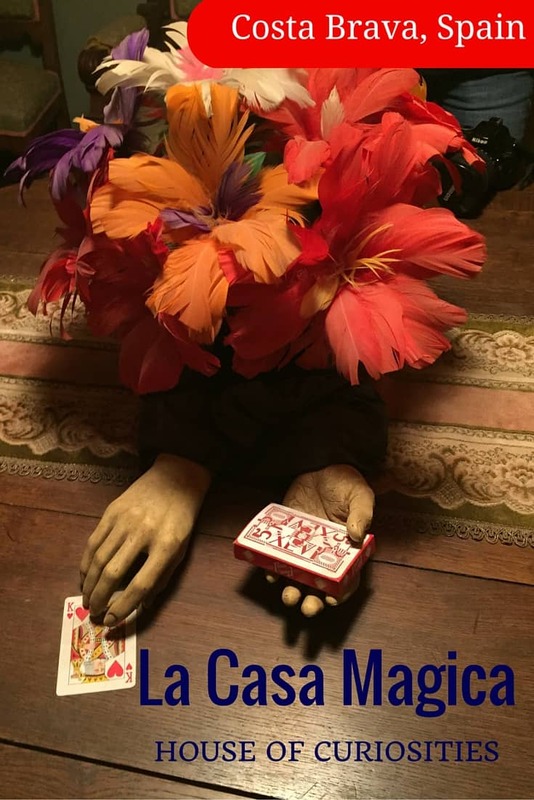 That’s the thought that keeps playing over and over in my head as I tour the strange and unexpectedly spooky interiors of La Casa Magica or House of Magic in Santa Cristina d’Aro, a museum of magic (a first for me) owned by distinguished Catalan illusionist Xevi. 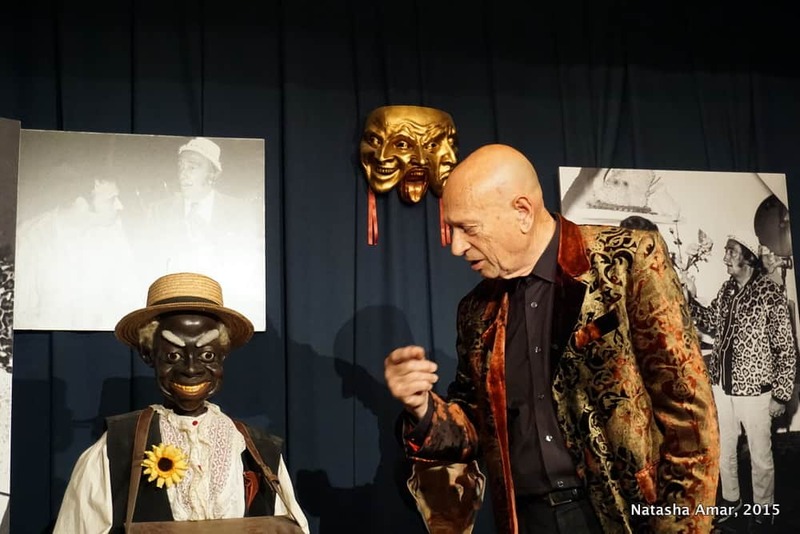 A respected personality in the world of magic, his illustrious career spans over half a century of live shows, radio, T.V., books, and theater and an audience with the likes of Salvador Dali. It isn’t surprising then that he is impeccably dressed in a regal velvet jacket even when it’s just a bunch of us regular folks he’s leading through the curiously decorated hallways of the house built in the 1850s. 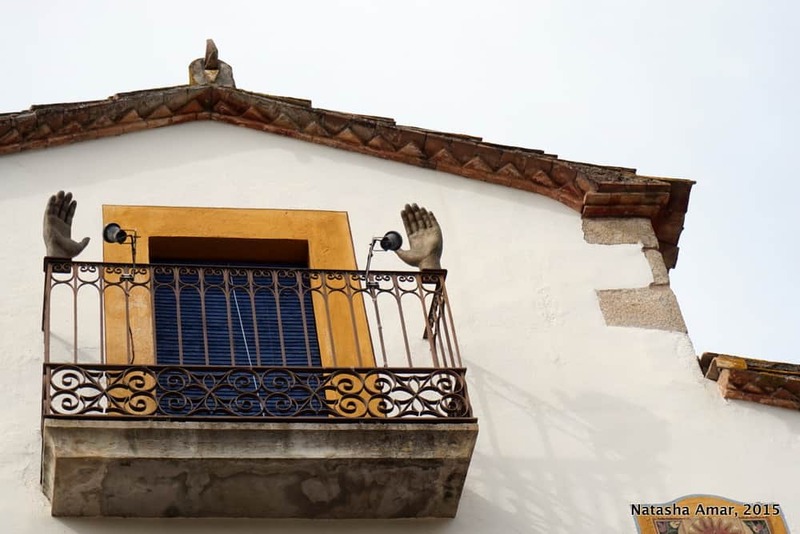 On the outside, the house looks just like any other until I pay attention; a pair of hands on the balcony, a statue of an armed guard outside the front door, a deck of cards impossibly balanced in the air where I would expect potted plants and I know that this is going to be interesting. Xevi and his daughter lead the way and we are in a room with a piano that is playing itself. 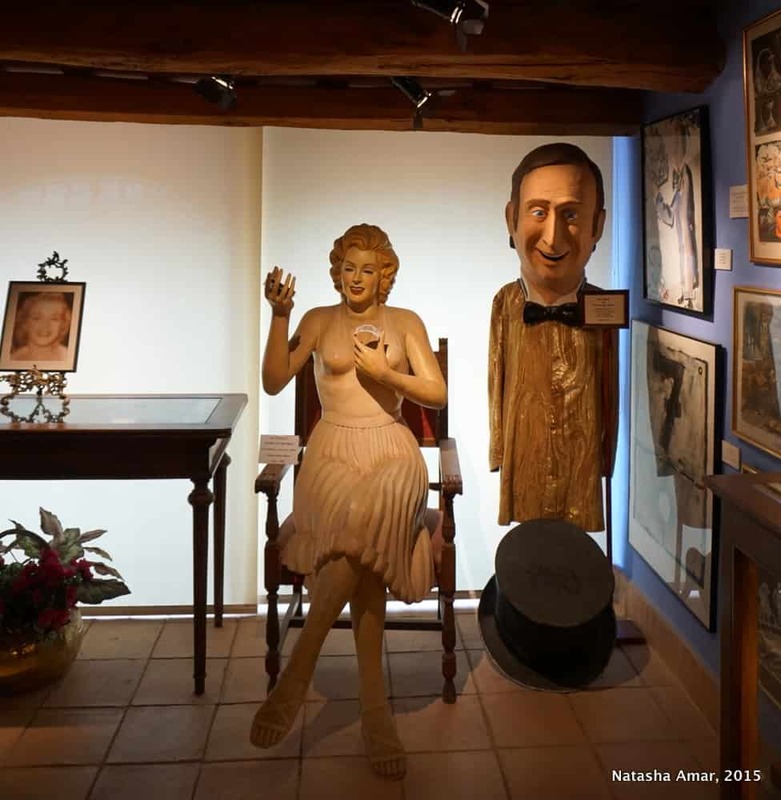 On the walls are photos of the illusionist from over the decades, caricatures of other personalities who I think are eminent in the field, and many award certificates. Next door is a chapel that I imagine isn’t exactly where anyone would want to go for a moment of peace. A green-eyed serpent rests in the right hand of a figure reading a book. I have no desire to spend time here and I move on to the other areas of the house. 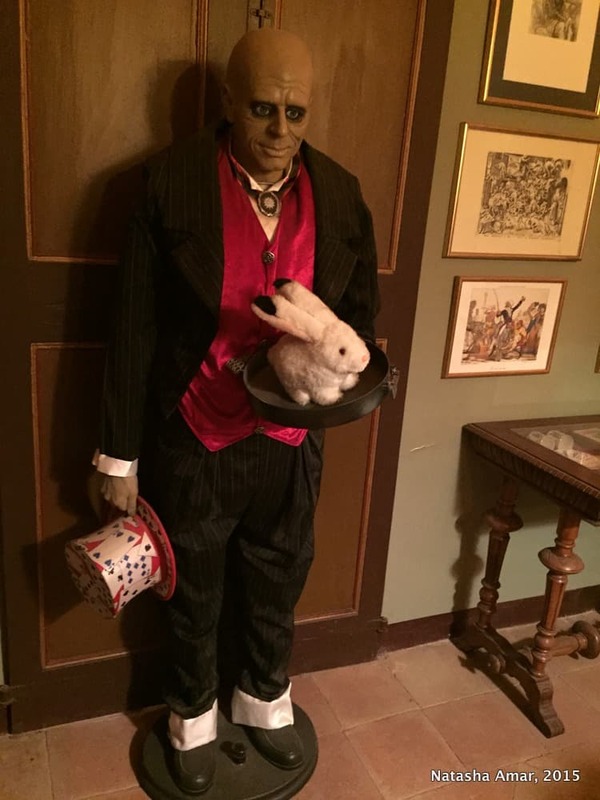 There is a lot to take in inside the dimly lit rooms; painting and photographs of the likes of Houdini cover the walls, jars of preserved lizards, spiders, snakes and frogs line the shelves, a pair of hands deals cards on a table, and dragons and demons spring at you from unassuming corners. An old wine cellar is home to witches and sinister, horned creatures, and a bloodied head lies next to work tools under a staircase. I wouldn’t want to stumble upon this. I thought these creepy heads were cool. 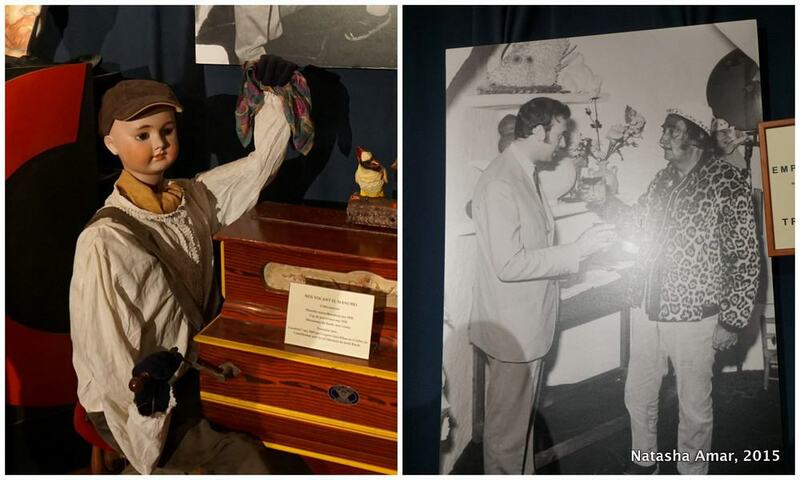 The photo on the right is of Xevi with Dali. This is, without a doubt, the largest collection of curiosities I’ve ever seen and this isn’t even all of what Xevi owns. “I have enough for three museums,” he has already told us. 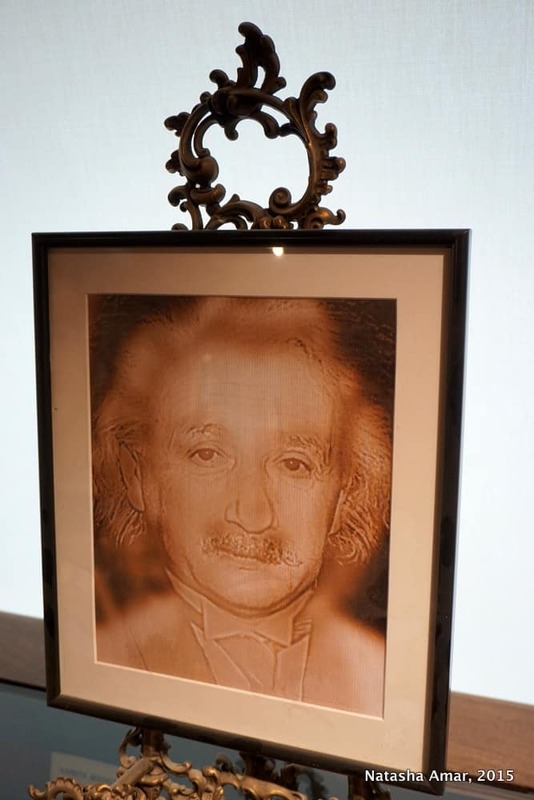 The topmost level is decidedly a nicer place with Marilyn Monroe seated on a chair next to her portrait. Here’s what happens when you get a little closer. We are outside again and Xevi is performing a little card trick for us in the garden with the practiced flair of a showman. He promises to let us in on the secret, holding our attention with the swift movements of his hands turning around the large card. “One,” we repeat after him, “four,” and then “three”. He reveals a blank spot instead of the third heart that he hid behind his fingers while holding the card. He looks satisfied to see us fooled and explains that making us repeat after him reinforced our trust in what we were being shown. Who says that a magician never reveals his secrets? Tip: The museum is open to adults and children but entry is by advance reservation only (call the number listed on their website). Tours are led by Xevi and his daughter. 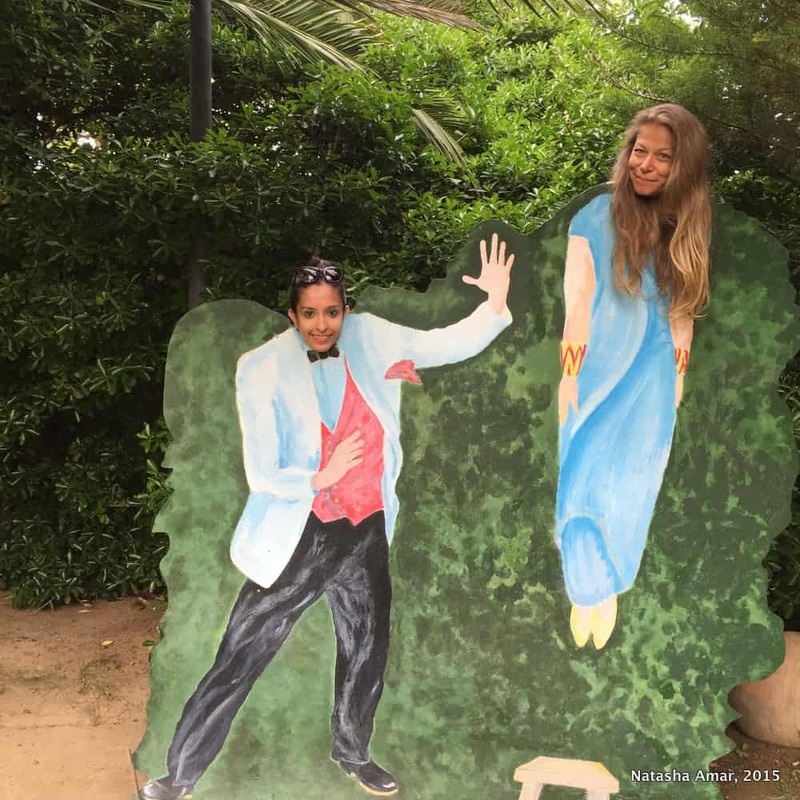 My visit to La Casa Magica was organized by Visit Costa Brava. All opinions, as always, are independent. 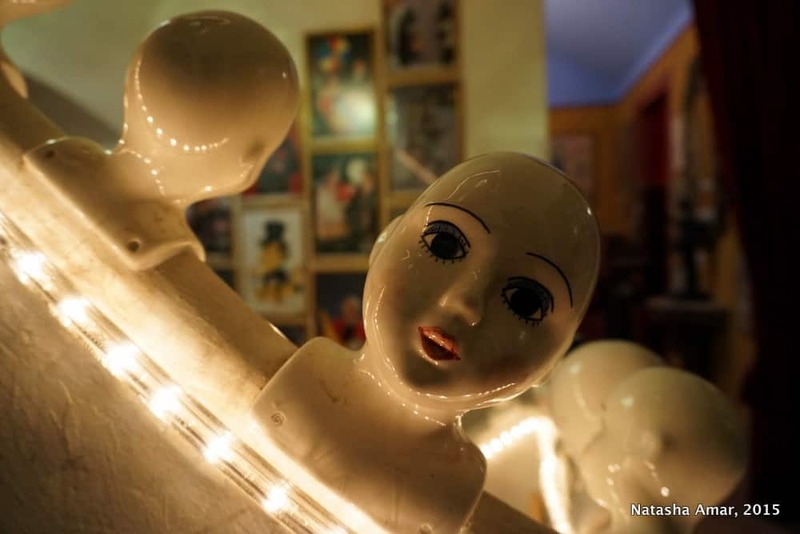 Have you ever visited a museum of curiosities like La Casa Magica? Would you be interested? Nop, not for me. I hate creepy places and horror movies. And there are snakes! I hate snakes! Haha! They weren’t real so nothing to fear Andreja! I love places like this, so creepy but in a fascinating way! Would love to explore here! Oh GOD! Those creepy heads can give anyone a nightmare! 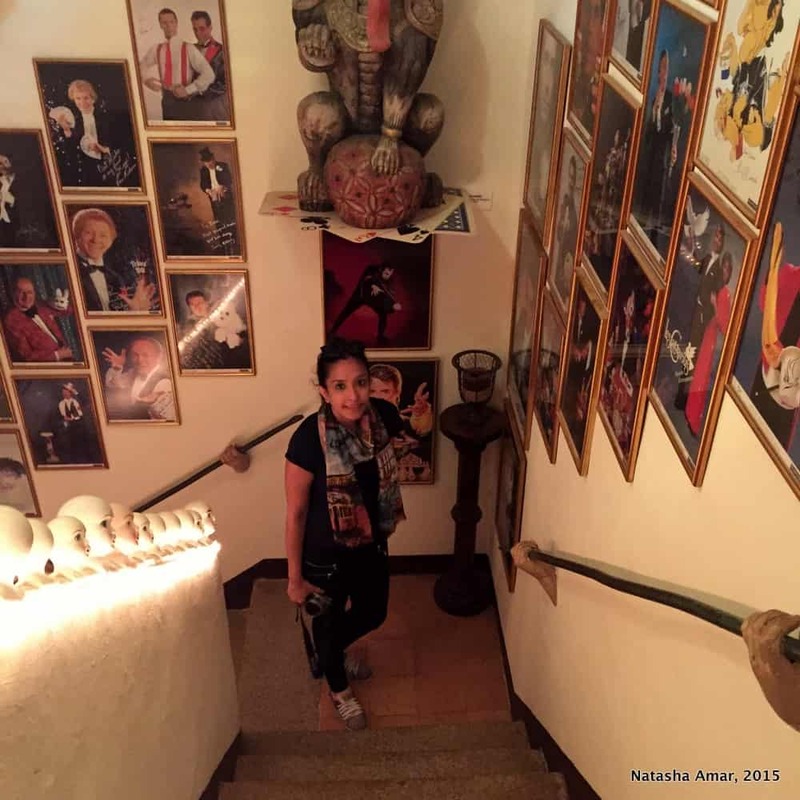 Hi Natasha- What an interesting place! It’s always fun to stumble across these quirky places! We actually just booked flights over to Barcelona in October and are working on building our itinerary for Spain. I’ll be looking through all of your Spain posts this evening! Enjoy your travels to Spain! That’s such a cool place. Where did you manage to dig it up? I love Catalunya, so many things to see, taste and visit! 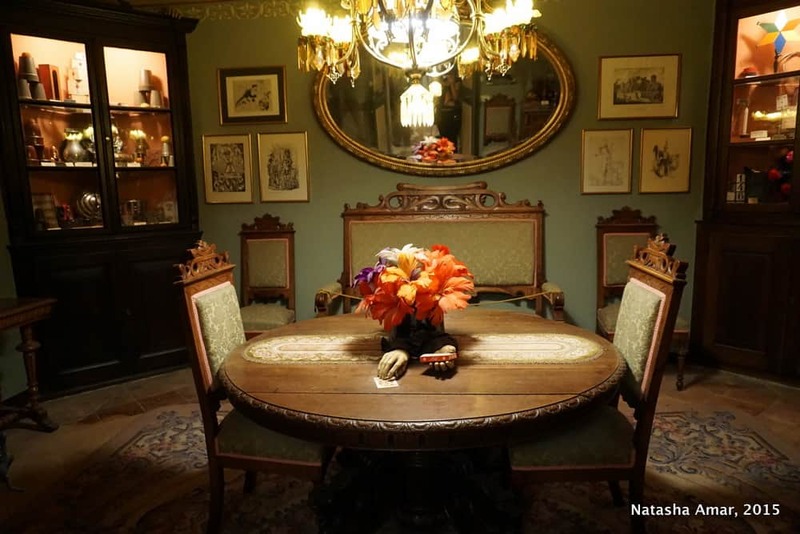 I have been in Costa Brava before but never heard about Casa Magica, definitely a place to to bookmark for our next visit there. What a spooky place! I wouldn’t want to go there alone either 🙂 Although I think it’s very sweet that it’s owned privately and that you are guided by father and daughter! Thanks for sharing about this place! Not somewhere I’d typically look to go, but it sounds fascinating! Especially since the owner used to hang with Dali. How cool is that?! What a funky cool place! I can imagine kids must love it (although with all of the weird things it could give you some strange dreams afterward). What a surreal, spooky place. I’ve never heard of it, but now I like the idea of visiting. It might be one of the most unique museums I’ve ever heard of. Such a unique place!! Definitely would be on my list of places to go though I completely agree… it’s not someplace I think i’d like to be stuck at after the sun sets!! 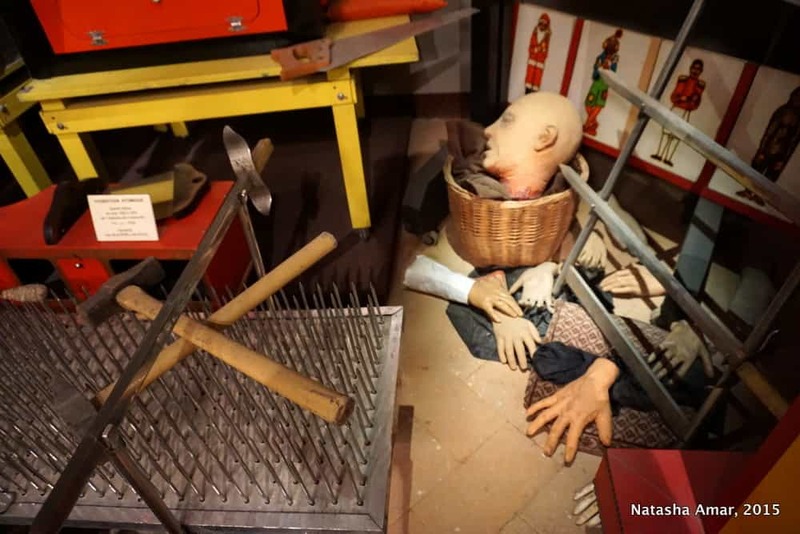 I’ve only ever visited the Ripley’s Believe It Or Not museum in Niagara Falls, Canada which had quite the collection of curiosities too! 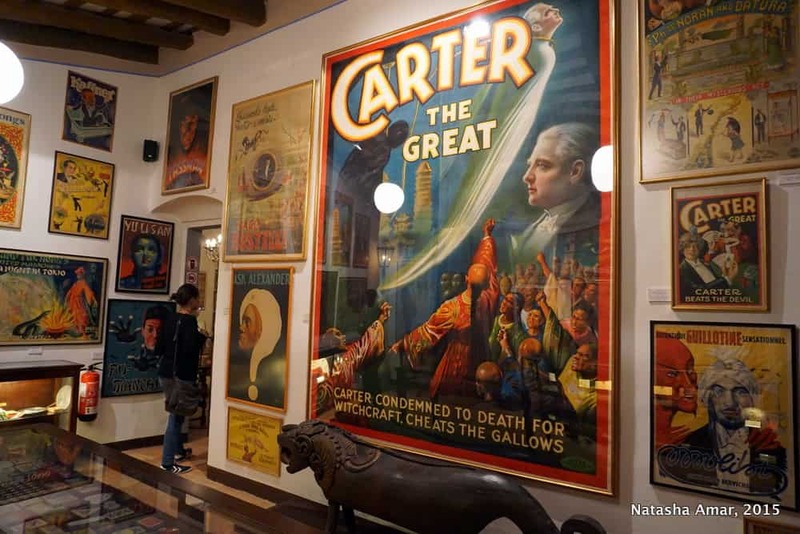 The Ripley’s Museums are famous and though I’d never thought of visiting one before I know I want to visit one now. 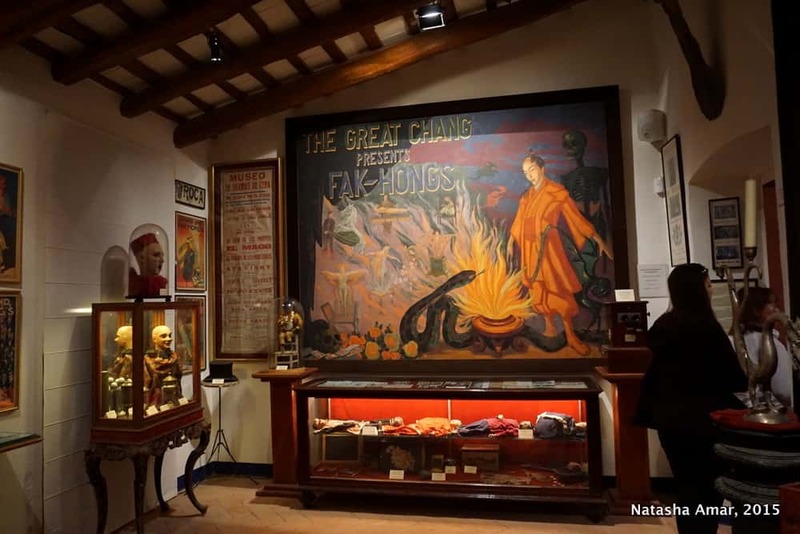 This museum is really creepy!! But I’d love to visit it so badly! Thanks for telling about it! I lived in Barcelona for a year and traveled a few times to the Costa Brava. However, I had never heard of this magic house until now. 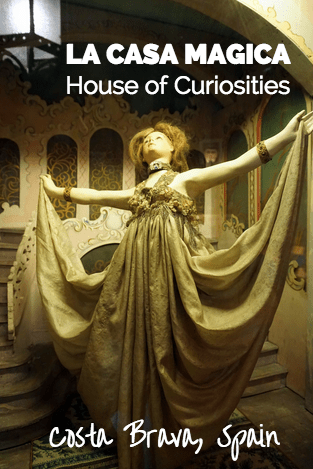 It sounds like an interesting place to visit, and the house looks really cool!